Others recognize the importance of orthodoxy, but fail to grasp its beauty or use it in a loving and Scriptural manner. For these people, right theology is a donkey’s jawbone perfectly suited to slaying uncircumcised Philistines – or their neighbor, whoever “asks for it” first. Neither approach is biblical. It’s no good avoiding one muddy ditch if you wind up mucking around in another. The road is where you want to be. Balance is needed. So how do we achieve it? 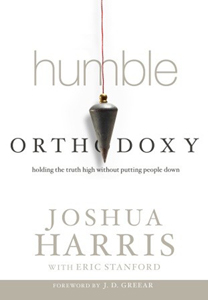 Josh Harris seeks to answer that question in his new book Humble Orthodoxy. His thesis? That we are called to both 1) “embrace and defend biblical truth” and 2) “be clothed in gentleness and respect”. Neglecting either one of these will inevitably lead to “arrogant orthodoxy” or “humble heterodoxy” – two sides of the same bad penny. We must, Harris argues, learn how to hold the truth high without putting people down. This is a short book, but a much-needed one. Harris demonstrates a remarkable economy of language, packing into sixty pages a Bible-fueled exhortation that is both thoughtful and thought-provoking. Those who struggle with being limp-handed about what is in and what is out (theologically speaking) will find herein a potent reminder that orthodoxy is not a four-letter word; it is, in fact, vitally important. Those who are tempted to use their precise theology as a cudgel (as I often am) will be spurred to remember that there is a fine line between contending and being contentious. Truth matters – and so does our attitude. We’re going to be opposed as we preach substitutionary atonement and the truth of God’s wrath toward sin. We’re going to look unloving and unkind as we teach God’s plan for marriage being one man and one woman. We’re not going to look cool. We’re going to look ridiculous and backward and intolerant and politically incorrect to the world. Here’s the question: As we lose the esteem of our culture, as we see false teachers gaining ground, what will we do? Will we grow bitter, angry, and vengeful? Or, like Jesus and Paul, will we continue to love our enemies even as we suffer? Will we keep praying? Will we keep hoping for God to open others’ eyes? Postscript: Reading this book has made me even more aware and appreciative of the examples of humble orthodoxy I’ve encountered over the years. I see it in the writings of Douglas Wilson and Kevin DeYoung. I see it when I read Thomas Watson and Charles Spurgeon and J.C. Ryle. I see it in dear friends of mine – the way they write, they way they speak, the way they live. Most vividly, I see it in my pastor. As someone who often struggles with the cage fighter mentality that Harris describes, I’m grateful for the people God has placed in my life who exemplify so well the beauty of right thinking wedded to right loving. On Sunday, former pastor and author Rob Bell expressed his support for gay “marriage” during a forum at Grace Cathedral, the Episcopal Cathedral of the Diocese of California. Frankly, I’m only surprised it didn’t happen sooner. Anyone who has paid any attention to Bell’s career over the past couple of years will hardly be flabbergasted at this latest bit of funny business. He’s been retreating from orthodoxy for some time now, with the steadiness of Aesop’s tortoise – only quite a bit faster. The word ‘love’ holds a prominent place in his vocabulary, yet it lacks any kind of biblical mooring. It’s merely the sentimentalism of postmodern times, weak-kneed and nauseatingly vapid: the kind of love that “affirms” you where you are, even if where you are is on the road to hell. But of course, I have forgotten: Bell isn’t so sure about the whole hell thing. And if there is no hell, no place of eternal punishment for unrepentant sinners, then why is repentance such a big deal anyway? Love wins, don’t you know. So I’ll hang with Jesus, and you hang with sin, ’cause we’ll all wind up in heaven in the end. Bell talks a lot about God’s love. But what about God’s holiness? What about His justice? What about His fierce and eternal wrath again sin? God’s attributes are not, to borrow the words of Timothy Tennent, “like separate petals on a flower. God’s love is a just love. God’s mercy is a holy mercy, and so forth.” You cannot proclaim them in isolation. You cannot tell me of God’s love without also telling me of His wrath. The one has no meaning without the other. We are not called to adapt, Mr. Bell. We are called to stand fast (Philippians 4:1). Nor are we called to die, at least not in the way that you mean it. Christ’s Church will endure. He will have His Bride, and she will be spotless. God has created us in such a way that we do not have the luxury of a “no tradition” option. If we attempt it, the only thing we succeed in doing is incorporating a good deal of confusion into the tradition we hand down. This was seen by one wise Baptist pastor, who said, “We Baptists don’t believe in tradition. It is contrary to our historic position.” Our children grow up in our homes, and they learn countless lessons there – about worship, liturgy, devotion, cultural incarnation, and more. Most of what they know about these things is invisible to them. It is the teaching office of the Church, in part, to point out, identify, explain, and teach the biblical basis for such traditions. If there is no biblical basis for something, and the tradition is pernicious, then the point of the scriptural teaching should be in order to remove that tradition. But the real pest is nebulous tradition. Traditions are at their worst when they grow up and are simply assumed in the bones, with no examination. But sinful human beings always need accountability – and sinful human opinions and traditions are the same. Those who compare themselves with themselves are not wise (2 Cor. 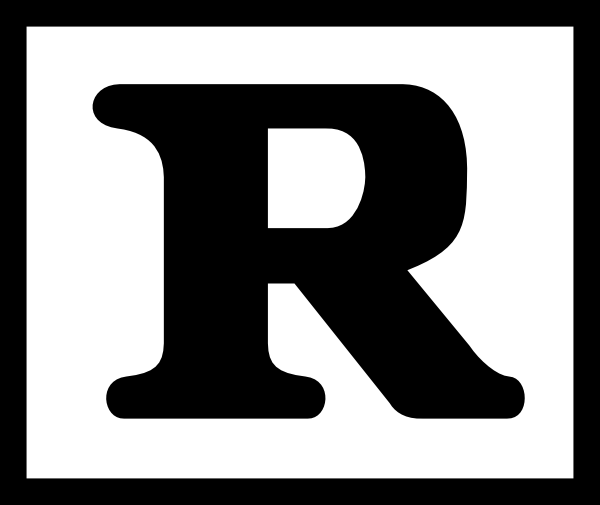 10:12). “We do not have the luxury of a ‘no tradition’ option.” I love that. It reminds me of the case Carl Trueman makes in his book on creeds and confessions: namely, that the world is not divided between those who have creeds and those who don’t. It is divided between those who have creeds that are available for public scrutiny, and those who have private creeds, unavailable for others to see and test by Scripture. In the same way, we are not looking at a division between people with traditions and people without traditions. Everyone has traditions. But not everyone tests their traditions by Scripture to see if they are worth keeping. Those who fail to do so are walking a dangerous road with a vertical drop at the end. The fall won’t be pretty. As a result, God’s wrath and the reality of hell are downplayed, avoided, reinterpreted to suit our sensitive palates, and even outright denied. We’ve all heard people complain about hellfire-and-brimstone preaching; but considering the state of the modern church, one has to wonder how many of those complainers have actually heard a hellfire-and-brimstone sermon. My guess? Not many. If any. “First, we need God’s wrath to keep us honest about evangelism. Paul reasoned with Felix about righteousness, self-control, and the coming judgment (Acts 24:25). We need to do the same. Without the doctrine of hell, we are prone to get involved in all sorts of important God-honoring things, but neglect the one thing that matters for all eternity, urging sinners to be reconciled to God. Second, we need God’s wrath in order to forgive our enemies. The reason we can forego repaying evil for evil is because we trust the Lord’s promise to repay the wicked. Paul’s logic is sound. “Do not take revenge, my friends, but leave room for God’s wrath, for it is written: ‘It is mine to avenge; I will repay,’ says the Lord” (Rom 12:19 NIV). The only way to look past our deepest hurts and betrayals is to rest assured that every sin against us has been paid for on the cross or will be punished in hell. We don’t need to seek vigilante justice, because God will be our just judge. Third, we need God’s wrath in order to risk our lives for Jesus’ sake. The radical devotion necessary to suffer for the Word of God and the testimony of Jesus comes, in part, from the assurance we have that God will vindicate us in the end. That’s why the martyrs under the throne cry out, “How long, Sovereign Lord, holy and true, until you judge the inhabitants of the earth and avenge our blood?” (Rev 6:10 NIV). They paid the ultimate price for their faith, but their blood-stained cries will be answered one day. Their innocence will be established when God finally judges their persecutors.